Nothing much is happening on this blog - because I've been sewing like a maniac the last few month. When it comes to choosing between sewing and blogging, sewing always win. This dress was finished at least a month ago and have had few outings. 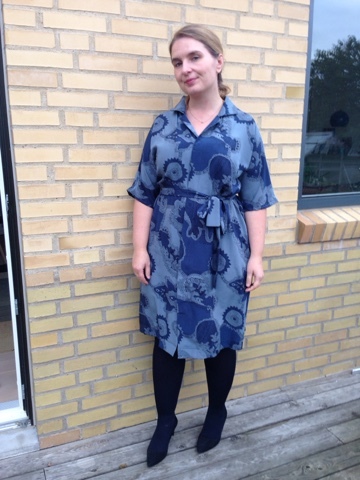 The dress is from the Burdastyle Magazine from august 2015. I was immediately attracted to the kimonosleeves and loose tent like shirtdress appearance. Nothing beats a tent - it's easy to fit and wear - and I like the sillouette - at least with a belt..
Would you look at that fabric. I bought in a shop on Montmartre in Paris this summer. It's a 100% lightweight silk with a large paisley pattern. Construction wise the dress was fun to sew. 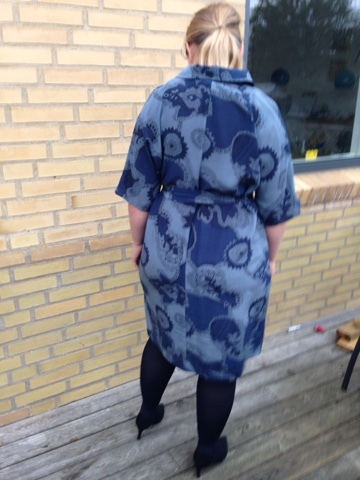 I like sewing the collar and all the nitty bits in a shirtdress. 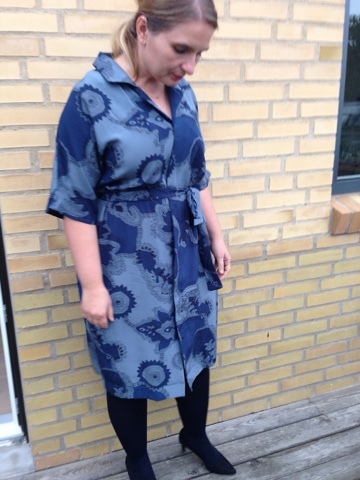 The hidden button placket took me a while to figure out - because Burda! No clear instructions. It came together in the end and I'm happy with the result. I didn't change the shoulders since this is a kimonoshape and since I wouldn't know how to alter the collar to a smaller size. Lengthwise I cut of my usual 10-12 cm. This is a common alteration for me, since I'm a shorty (and chubby). 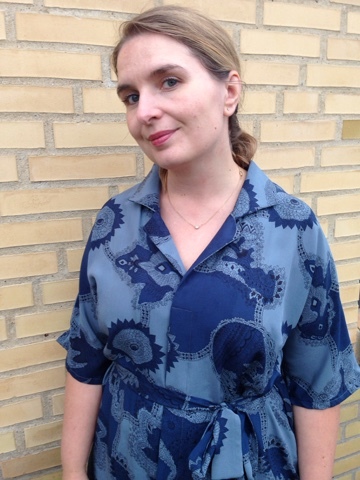 Even though this lightweight silk isn't very suitable for the danish fall and winter, I think I'll use it anyway with tights, boots and a cardi. I hope your fall sewing is coming along as well. I'm still quite excited about my plans for fall sewing and have completed quite a few items from my list (- and quite a few not on my list too). Stoffet er enormt smukt synes jeg.